Please, send me more information about ref DM4418 in Arco Iris, Marbella Golden Mile or similar properties. 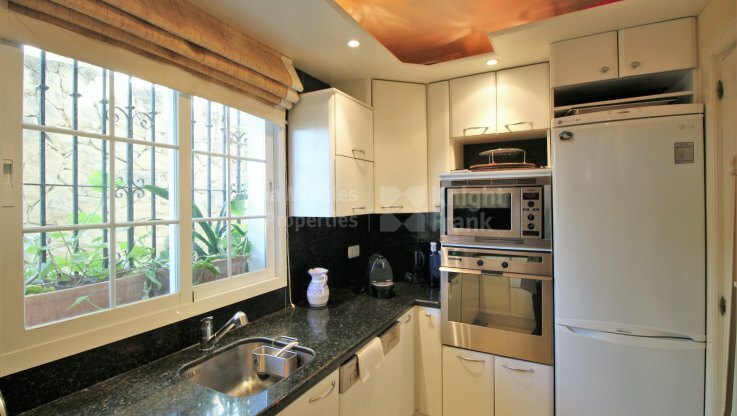 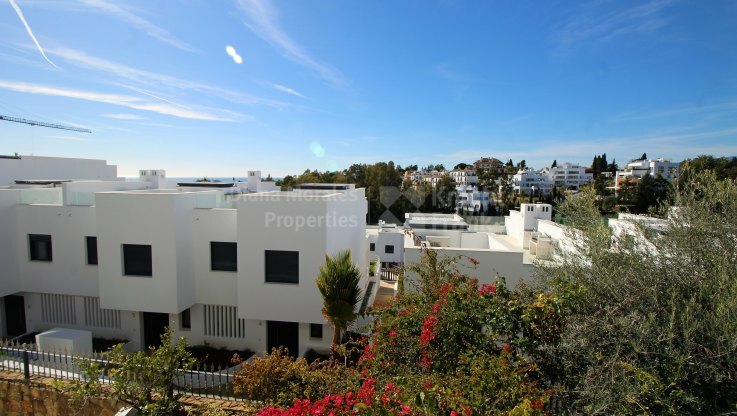 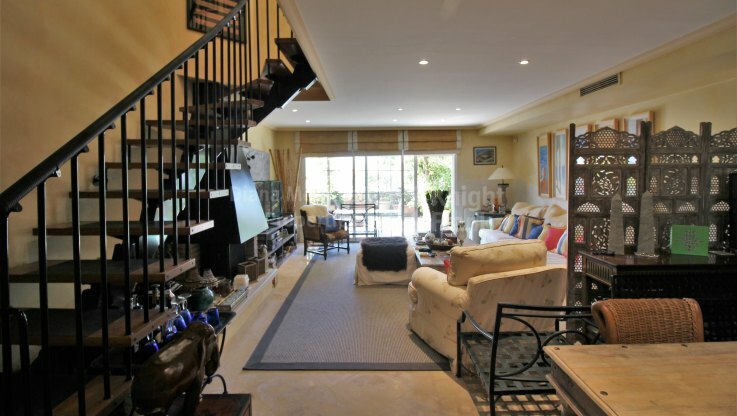 South facing townhouse situated within a small private development of houses of Mediterranean style. 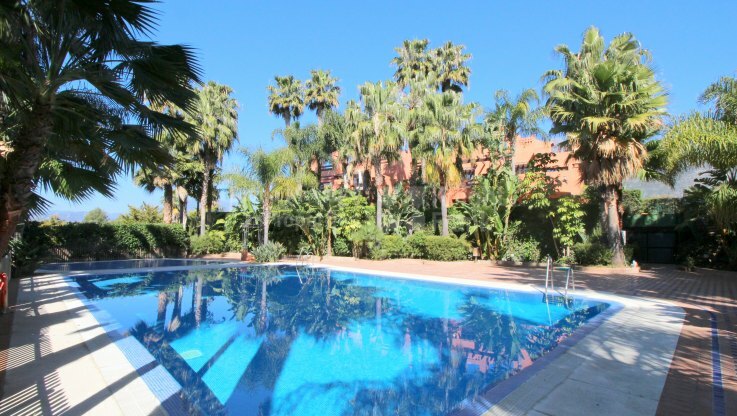 This fenced complex featuring irrigated gardens and a swimming pool is approximately 1km from the beach and the centre of Marbella with a variety of services. 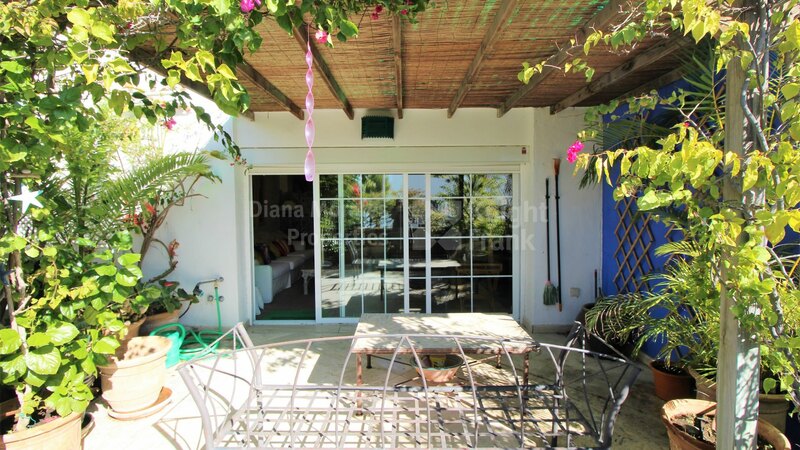 The property is built over 3 levels features on the ground floor a fully fitted kitchen equipped with electric appliances, a lounge/dining room with a fireplace and sliding doors which lead out to the semi-covered terrace. 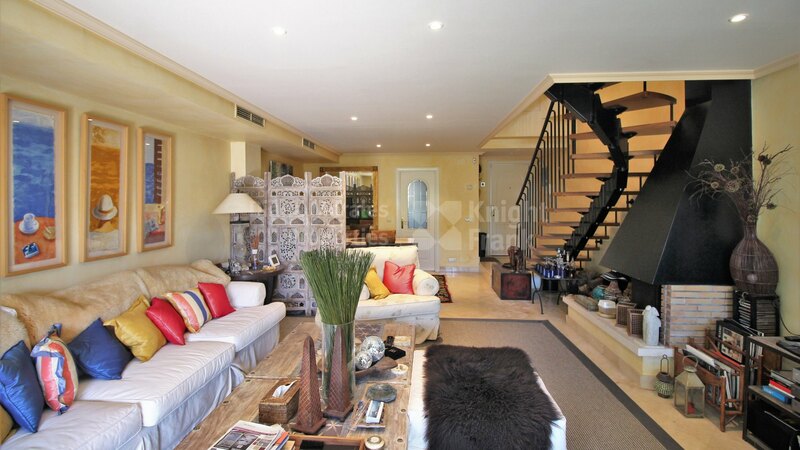 Wooden stairs take us to the first floor which is entirely occupied by a master bedroom with dressing room and a bathroom with a bathtub and hydromassage shower cabin. 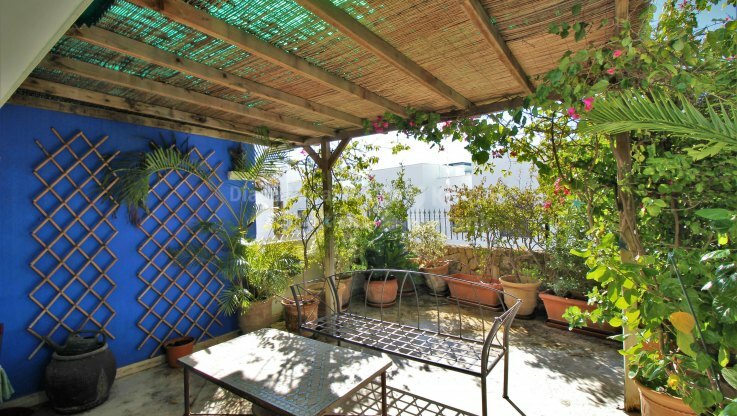 There is also a cosy office corner with table and garden views. 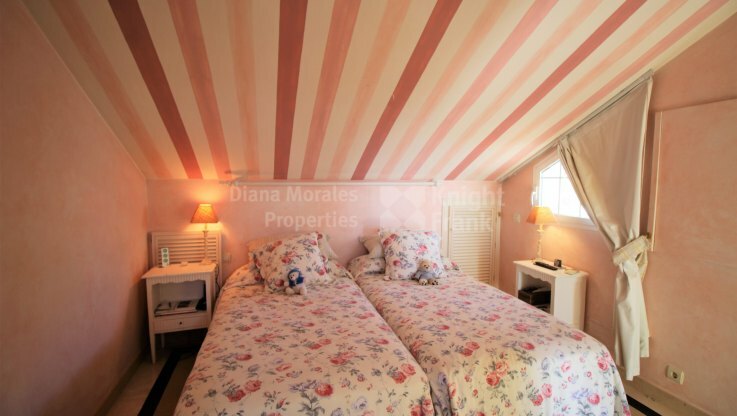 On the top floor, there is a second bedroom with gabled ceilings and private bathroom with jacuzzi and an open terrace with sea views. Other features include air conditioning (hot and cold), electric shutters, one car space in the communal underground garage and one storage room.